It is a good phone but camera & radio does not work nd also bluetooth too. But i need one more 7310supernova with its tv cable. you tube not start thorugh opera mini and uc browser. very best mobile and video good desine . why my my mobile can't connect to web ? my 7310 often rejects sim card,wat do i do? 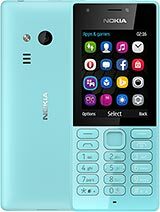 This phone has no phone memory on mine, it can be support's memory card only as your external memory. Is this phone provide a location checking service? This keypad is not smooth. Its gives out more sound. I don't like it. And why mp4 is not supported. Cud someone plz tel me if there are crystal case covers available for this phone?? Coz i really need one, as i find this phone very slim and light which cud easily slip. Please let me know.